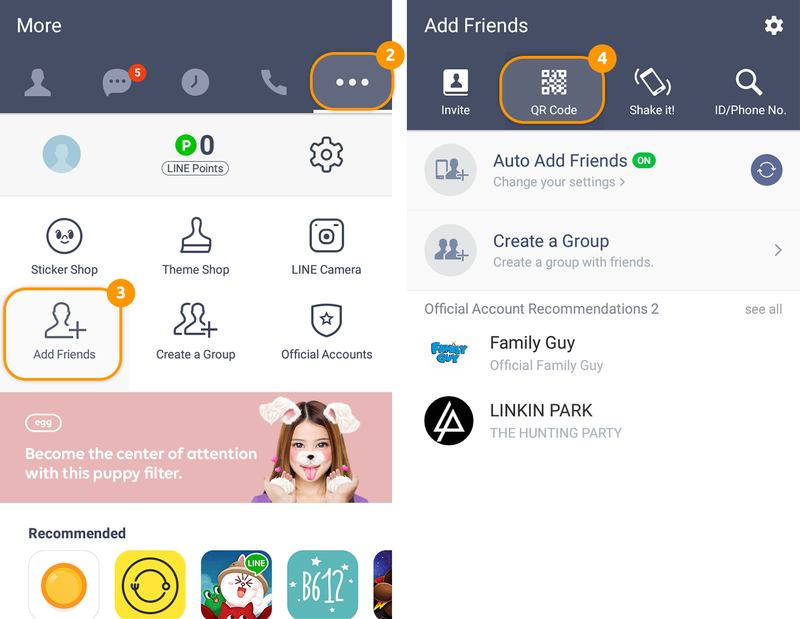 LINE is a mobile app that let's you show social updates, free voice and video call and chats with user friendly design. The cool stickers that suit every life situation can help in the quick communications overcoming any language barrier issues. 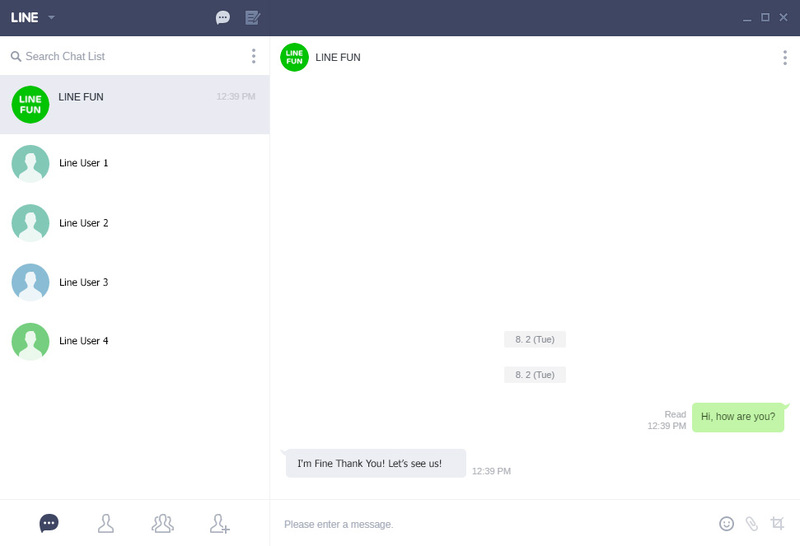 LINE is a great mobile chat application and the most used messenger in Japan. 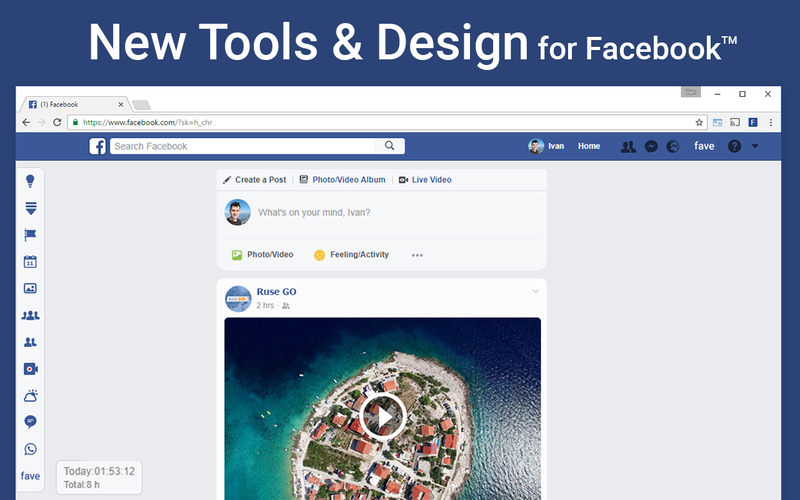 Now you can use it with a Chrome browser on your PC or Mac. Here are the 8 simple steps with screen-shots. 1. On your computer: open the Chrome browser and install the LINE Web app on Chrome Web Store. 2. Once installed, open the Chrome app (or click on the LINE icon on the top of this website). 3. Click on "QR Code Login". You will see the QR code on your computer screen. 4. Start your mobile LINE app on your Android or iOS device. 5. On your device: tab the "More" icon (the icon with the dots) on top right corner and tab on "Add Friends". 6. Tab on the "QR Code" button. 7. 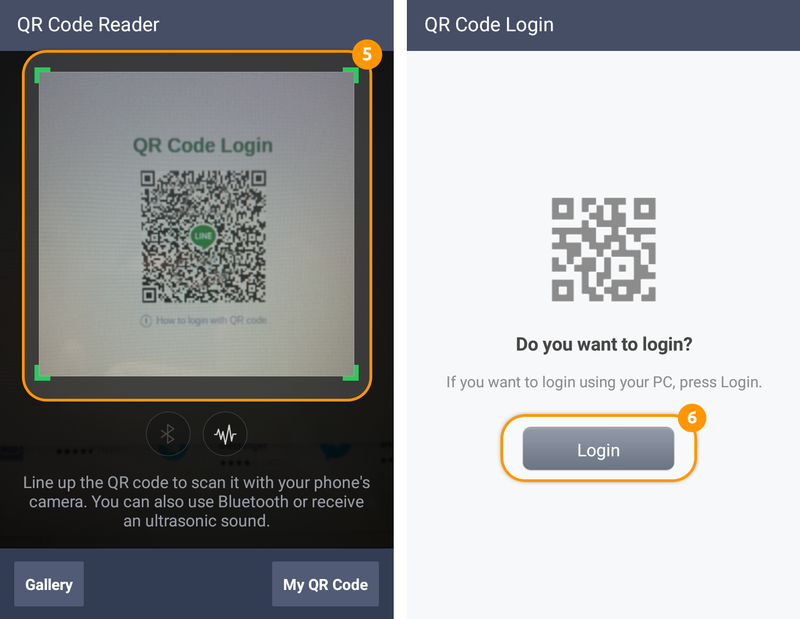 With your device: scan the QR code from your computer screen. 8. Click on the "Login" button. Have fun! You Line Chrome App is connected with your account.